The Founder/Chairman of Zenith Bank Plc, Mr Jim Ovia, has on September 17, 2018, in Lagos, present his much-awaited new book, Africa Rise and Shine: How a Nigerian Entrepreneur from Humble Beginnings Grew a Business to $16 billion. Africa Rise and Shine outline the tough, yet necessary business decisions that were essential to Zenith’s prolonged success and is filled with valuable takeaways for every businessperson. The road to success is rarely linear and never easy. But with courage, hard work, perseverance, and dedication to duty, Jim Ovia, founder and chairman of Zenith Bank, proves we can achieve the unthinkable. Jim has been called the Godfather of Banking by Forbes Africa. And this should be no surprise. In a time of tension between military and civilian regimes, periods of incredible economic instability, and a decaying infrastructure, Jim founded Zenith Bank in Nigeria. Under Jim’s leadership, what started with $4 million in shareholders’ funds, grew into one of Africa’s largest banks, an internationally recognized institution with more than $16 billion in assets. His story is a living testament to his message that success results when we act with courage and dare to try. Africa, Rise and Shine is part-memoir, part-inspirational business guide, reminding entrepreneurs and investors around the world of this valuable lesson: You must never allow the perceptions of others impact your own vision of what is possible for the future. "Jim Ovia has been my personal friend and trusted banker over the last 25 years. Africa Rise and Shine lay bare the secrets to Zenith Bank’s success from one of Nigeria’s most respected businessmen. Jim’s inspirational tale of success against all the odds is an important lesson of how adversity can always be surmounted. His principles of doing business can be applied globally as demonstrated by Zenith Bank’s London Stock Exchange listing. This book is an essential read for anyone that wants to do business in Africa." "Having personally negotiated with Jim Ovia to create the landmark Prudential Zenith Life Insurance partnership, I have seen his artistry at deal-making firsthand. Jim’s ability to step back and take a long-term perspective has been a key factor in his business success. His twelve rules for building profitable businesses, whilst critical for African enterprises, could equally be applied globally. How I wish I had read Africa Rise and Shine prior to sitting down to the negotiation table with him!" 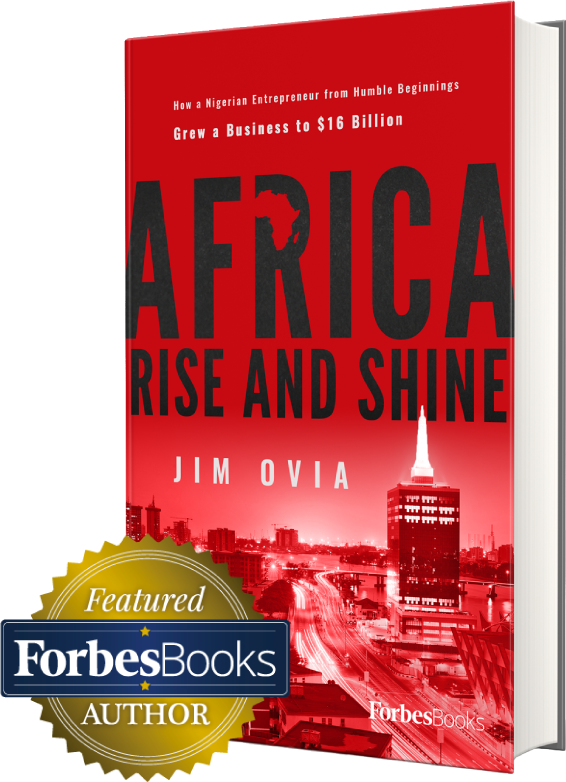 "Jim Ovia speaks from experience about an exciting and important story: the rise of Africa’s banking markets. Not only are they growing faster than almost any other region, but they are also a hotbed of innovation, especially when it comes to bringing millions of previously unbanked customers into the formal financial system. It’s an important tale that deserves the attention of all." 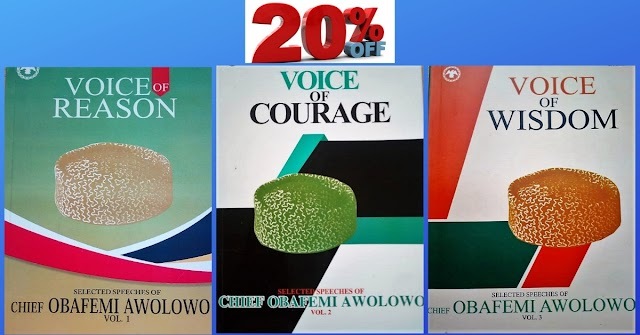 "When the dust settles and the definitive history of contemporary Africa is written, Jim Ovia will be prominently cited as one of the founding fathers of Africa’s modern banking system. Africa Rise & Shine enshrines how Ovia pioneered the creation of one of the continent’s most successful bank and demonstrates how believing in yourself, aiming for excellence, building a team, and listening to your gut—all with an unwavering ethical stance—frame the model for the next generation of great entrepreneurs everywhere. Jim Ovia’s story redefines the power of today's self-made man." 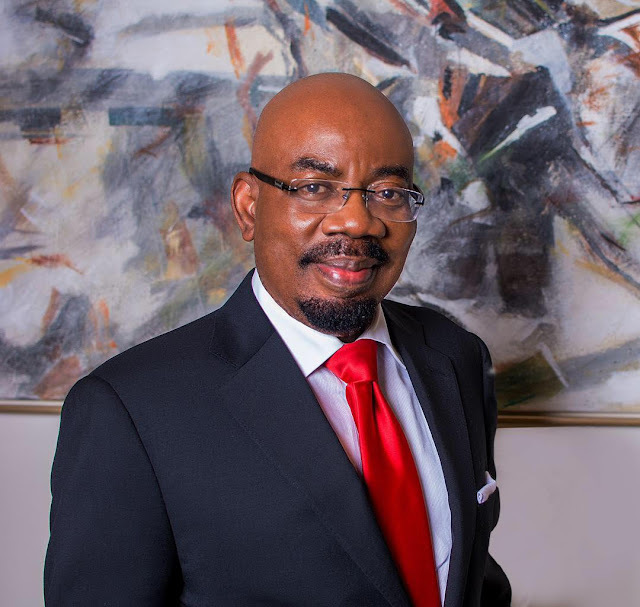 Jim Ovia has been called the Godfather of Banking by Forbes Africa. And this should be no surprise. In a time of tension between military and civilian regimes, periods of incredible economic instability, and a decaying infrastructure, Jim founded Zenith Bank in Nigeria. Under Jim’s leadership, what started with $4 million in shareholders’ funds, grew into one of Africa’s largest banks, an internationally recognized institution with more than $16 billion in assets.